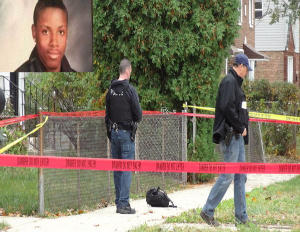 Terrence Wright, an 18 year old high school senior from Chicago was shot and killed yesterday. As Wright was leaving the school at the end of the day, five assailants approached him and Â began intimidating Wright. One of them began rummaging through Wright’s pockets, and when the high schooler resisted the intimidation, he was shot. The incident is part of the recent uptick in gun violence and gang activity among teens in Chicago. Some area residents have dubbed Chicago, Chiraq, referencing Iraq and the way in which the city has become a war zone.